← Why are more women setting up sewing factories in the UK? I have just found your site, It is so important to buy British, it is sometimes difficult to see where items are made. If I am undecided about buying something I look where it is made,if it is made in China or no country of originl l put it back. Buying from China will come back and bite us! 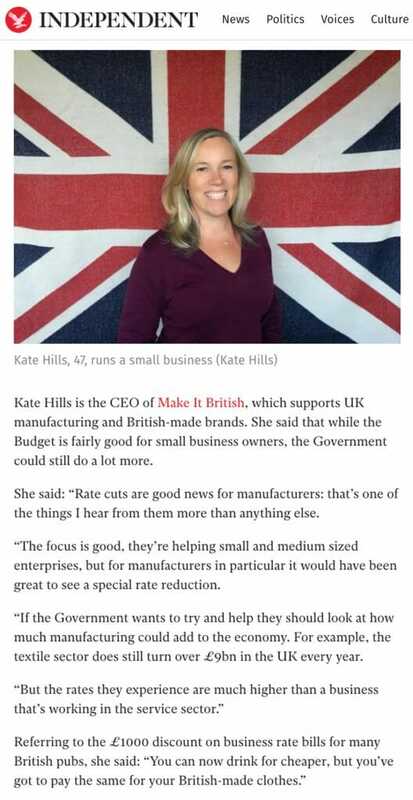 Keep up the good work with make it British.